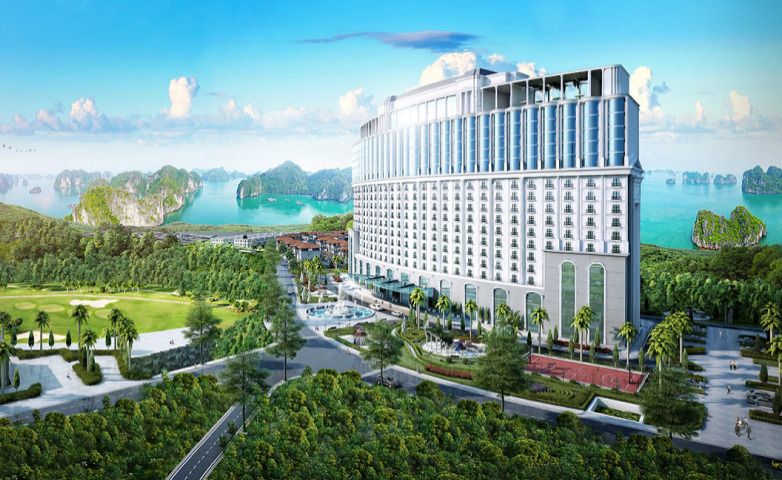 FLC Ha Long Bay Golf Club & Luxury Resort is a 5-star luxury resort located on the top of Van Nghe hill, giving views of Ha Long Bay - the natural wonder of the world. 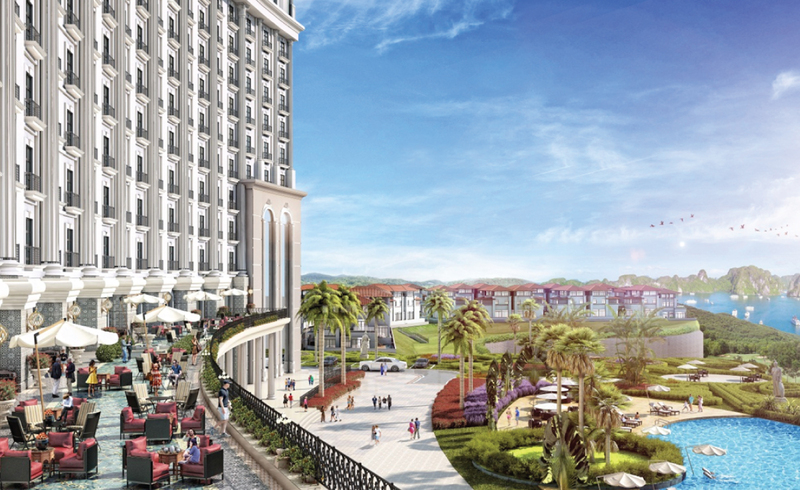 Spreading over an area of 157 hectares, FLC Hạ Long includes a full range of excellent facilities and more than 30 world-class amenities creating a high-standard resort complex, which is known as the "wonder within wonder”. 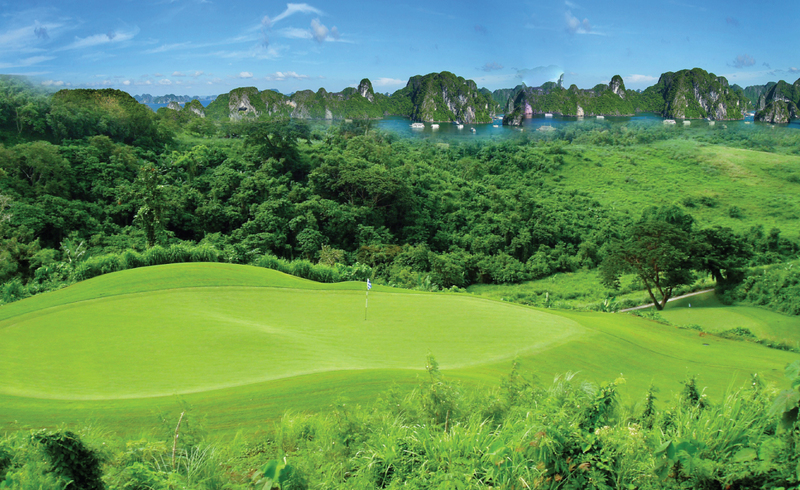 The highlight of FLC Ha Long is the “one and only” 18-hole golf course located on a top hill in Vietnam. 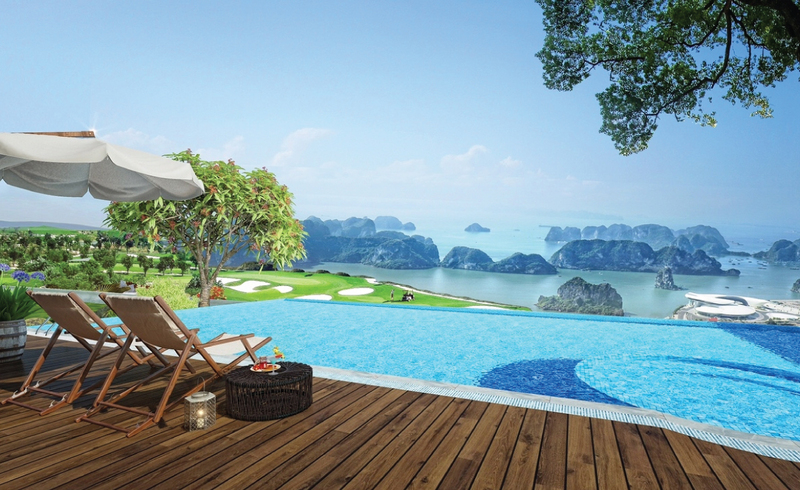 You can enjoy the blue water of the infinity pool, drink a chilled cocktail and take a close look on the romantic view of Ha Long Bay. 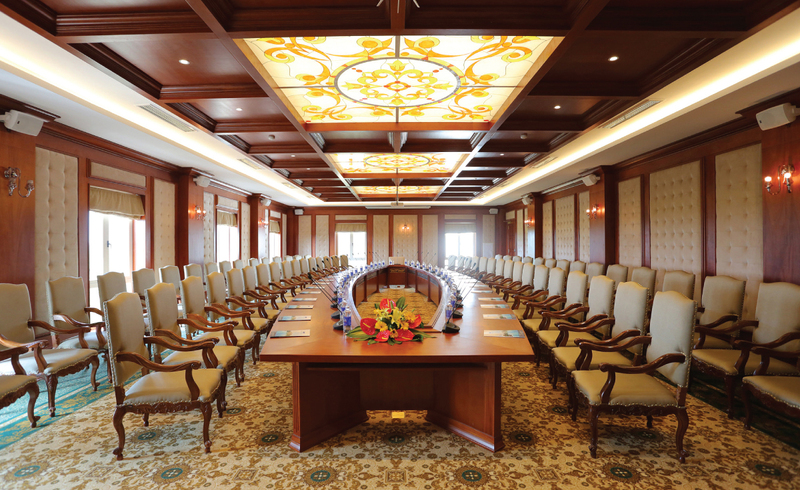 With luxury and professional services, FLC Ha Long Bay Golf Club & Luxury Resort will bring you the most comfortable, private and convenient relaxing space. 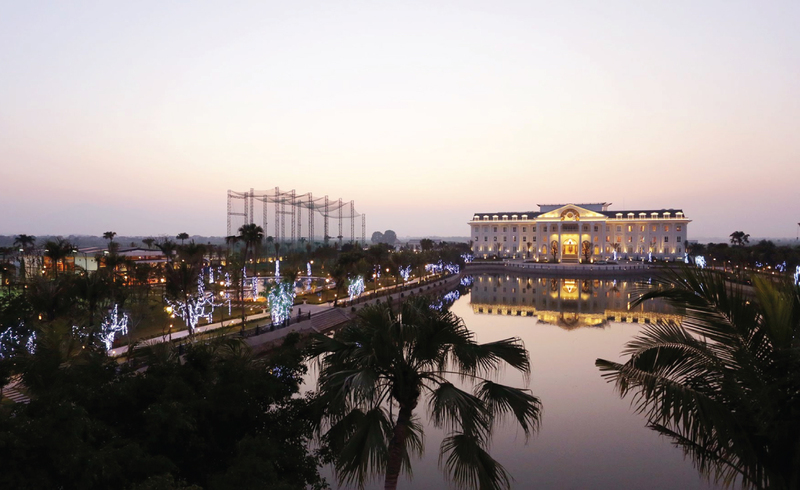 40km away from Hanoi, FLC Luxury Resort Vinh Phuc is known as a green resort paradise combining the royal architecture with peaceful lifestyle which includes more than 100 hotel rooms and luxury villas. 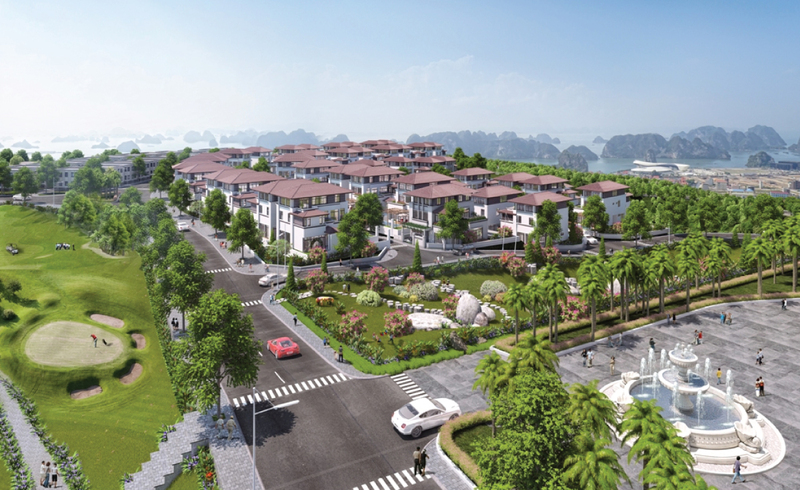 The resort is located in a nice situation with spacious & expanding view in all directions of the beautiful Vinh Phuc plain. 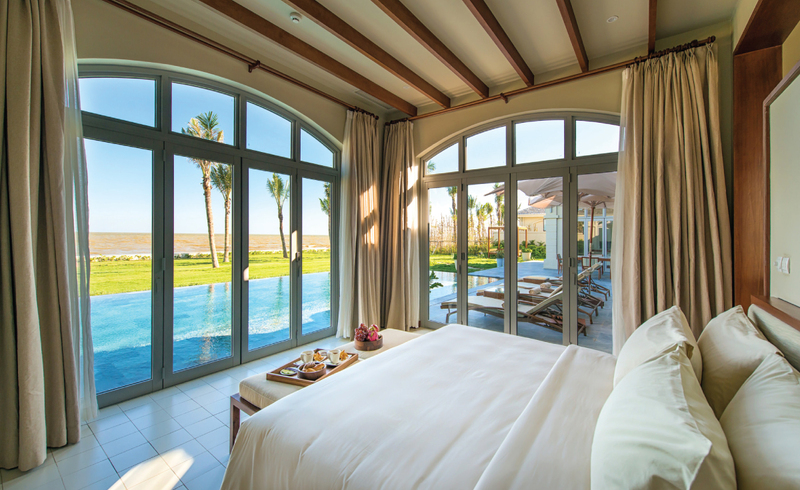 You can choose classic Deluxe rooms in the hotel or private bungalows close to nature. 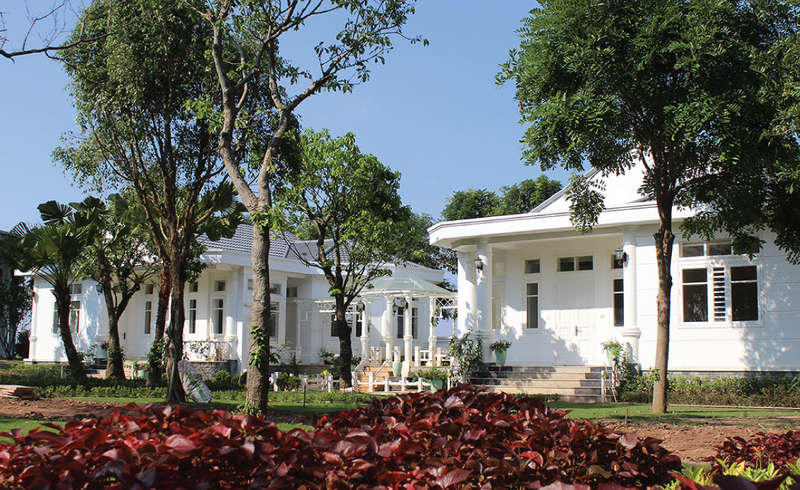 The talented chefs at FLC Luxury Resort Vinh Phuc are ready to serve, offering an impressive culinary experience not available anywhere else. 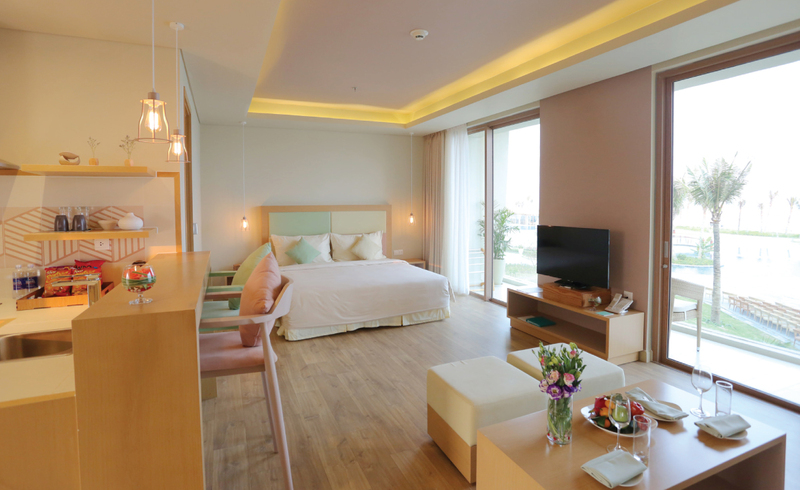 While staying at FLC Luxury Resort Vinh Phuc, do not miss the chance to enjoy modern lifestyle harmonizing with peaceful nature. Four-season swimming pool, professional golf course, state-of-the-art karaoke room and high-class spa will bring you unexpected and memorable moments. 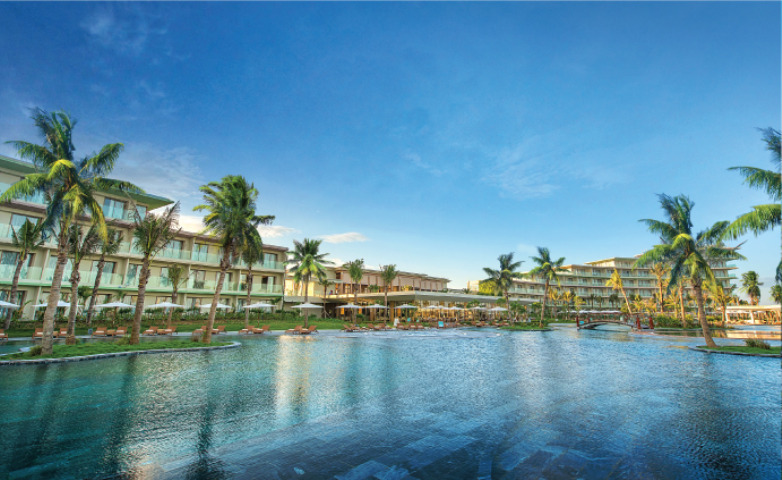 Located near the Ma River and the enchanting Sam Son beach, FLC Samson Beach & Golf Resort is as a symphony of life combining harmonically between nature beauty, elegant architecture design, excellent services and friendly people. 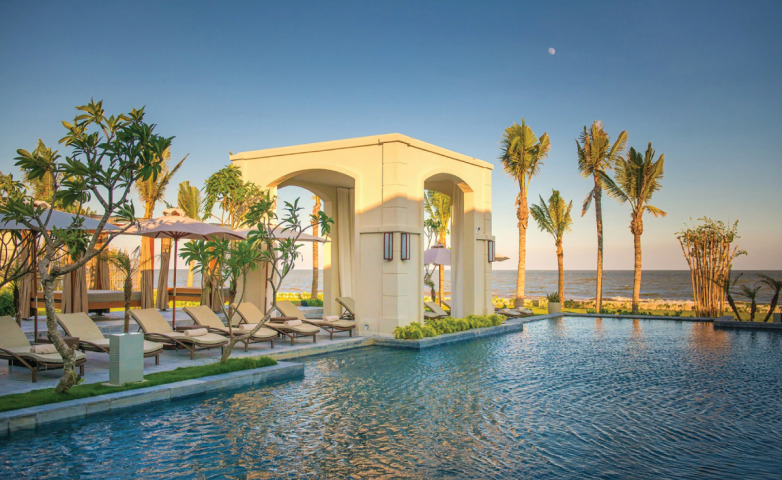 FLC Sam Son Beach & Golf Resort is one of the top 5-star resorts in Vietnam with 18-hole golf links, luxury villas, five-star hotels, Vietnam's largest saltwater pool with 5,100m2, international convention center, indoor and outdoor recreation areas. Besides, FLC Sam Son also impressed customers with extensive menu covering various culinary styles around the world. 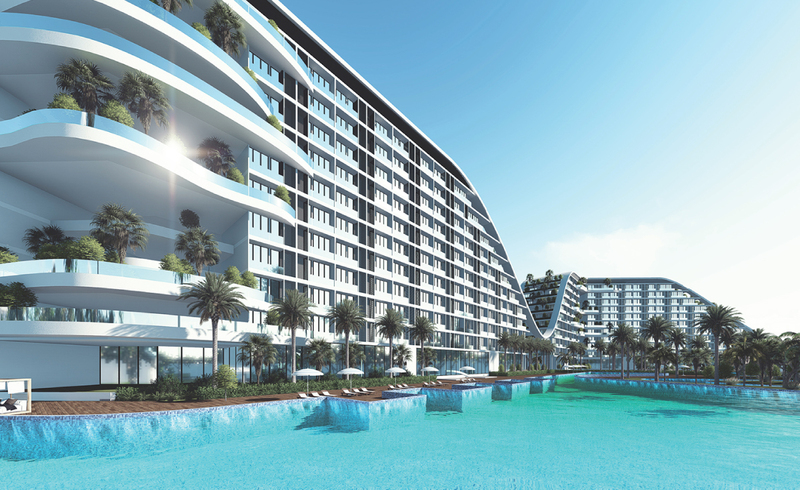 You can also be able to experience 5.100m2 bow-shaped saltwater swimming pool, which will bring unforgettable relaxing moments. 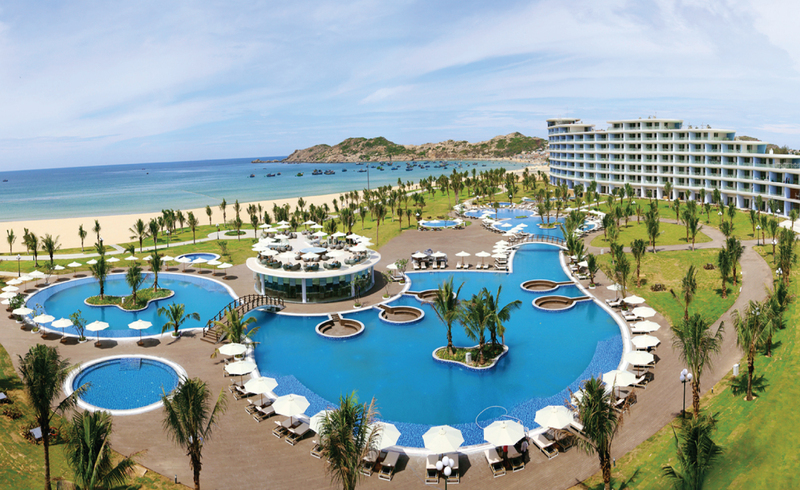 40-minute drive from Phu Cat Airport and 15-minute drive from the city central, FLC Quy Nhon embraces the exceptional beach recognized as the most stunning location to watch sunrise in Vietnam. 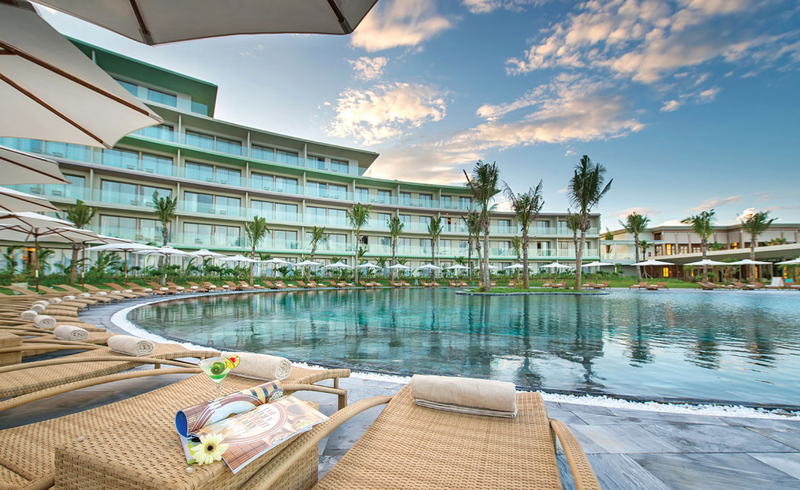 Come to FLC Quy Nhon, you will experience a brand new journey with unique & distinguished style in the 5-star design fully integrated luxury amenities, beautiful nature scenes and warm welcome of local people. 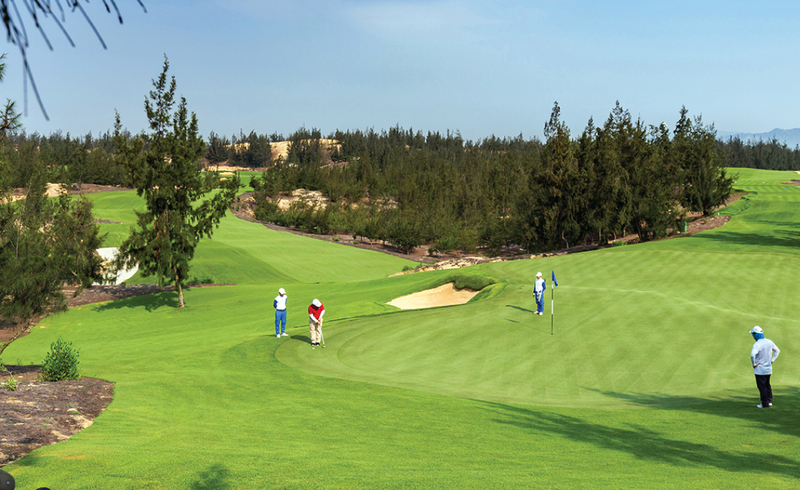 36-holes golf course with natural scenery includes 18 mountain-view holes & 18 ocean-view holes. 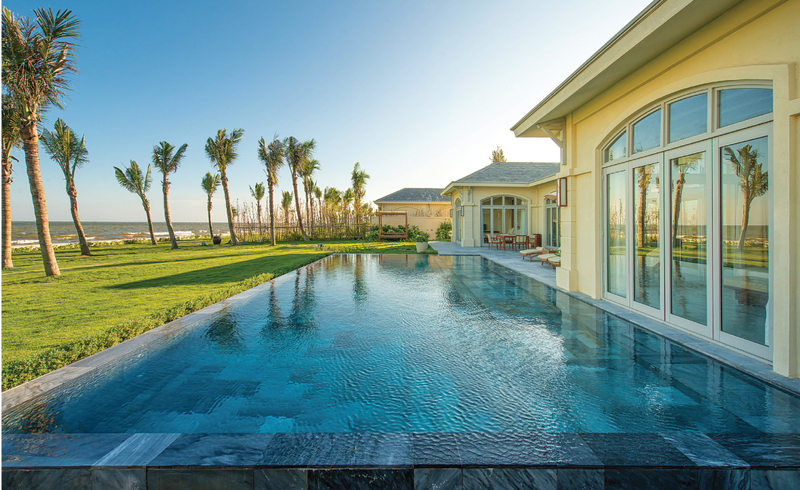 This combination will bring you a wonderful experience among pine forest and turquoise water. 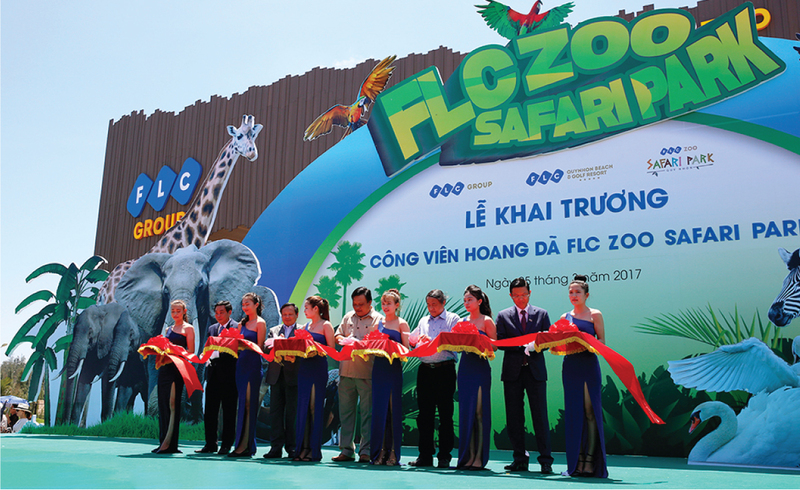 38.5ha of FLC Zoo Safari Park has more than 1,000 animals which locates in the middle of a green pine forest. 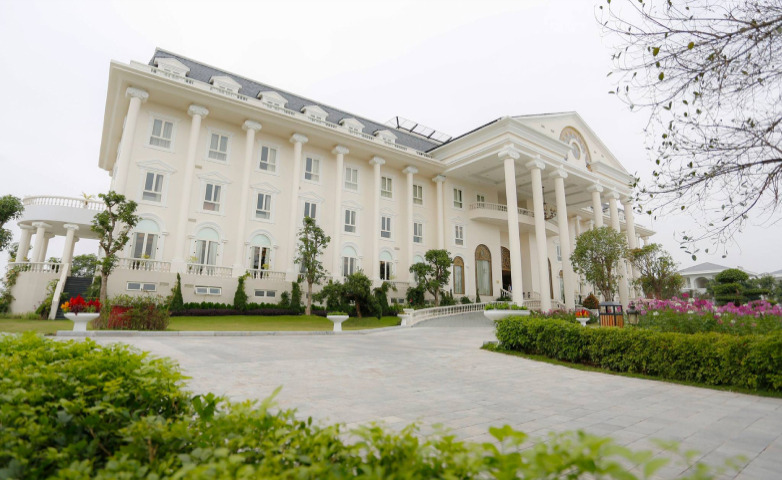 This is not only a widelife sanctuary but also an element that helps to balance the ecosystem, bringing new experience for visitors coming to Quy Nhon.